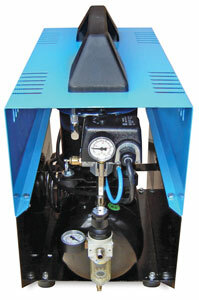 This silent compressor unit has a 1/2 HP motor with 1.5 gallon tank capacity. 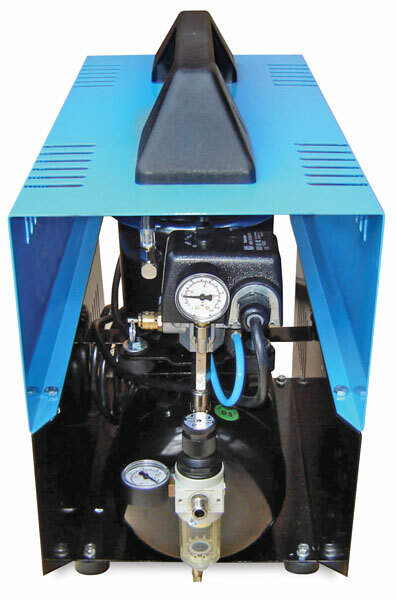 Super Silent DR-500 has an automatic, adjustable pressure switch for start-up and shut-off. Offers 2.15 CFM. ™ SilentAire is a trademark.